Trying to Find a Top-Notch Shutter Company in Altamonte Springs? If you’re in Altamonte Springs and looking for a window treatment specialist then you should give American Blinds and Shutters a call. We’re the specialists that can create something special in the home through our shutters, shades, and blinds. Don’t be without this year. When hurricane season hits you’ll be better prepared with Plantation shutters. These interior shutters are what you need for extra protection. Our shutters can keep your family safe. During a hurricane, not only can your windows blew in but your belongings can also get damaged. Plantation Shutters make it nearly impossible for rain to get through the shutters and ruin your personal possessions. Wanting new blinds for your windows to replace those old, musty curtains? We have the perfect blinds waiting for you at American Blinds and Shutters. Call for our selection of blinds for your home and learn how they can work for you. Our blinds are no joke as they are some of the finest brands on the window treatment market today. 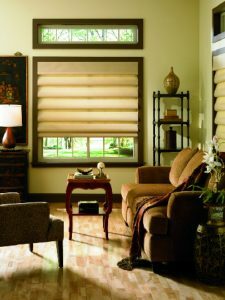 We carry brands such as Hunter Douglas and Norman. These brands offer nothing but style that can meet your tastes. Our shutter company has what you need! The decision to purchase custom drapery instead of shades can be very rewarding. Our custom made drapery is homemade using the best fabrics. We can make your drapes any way that you’d like as they’ll be the investment you’ve needed to make. A special investment opportunity doesn’t happen all the time. Custom drapery can be pricey and that’s why we’re there to cater to your needs. Your windows are nothing without superior window treatments like these. Call American Blinds and Shutters Outlet to have our Altamonte Springs shutter company take care of your windows. We are a shutter company providing quality window treatments in the Altamonte Springs area. Call 407-492-1009 or complete our online request form for more information.